Keeping on top of interior design trends in the hospitality industry is vital if you want to keep your business busy and popular with customers. That is why we have put together the 3 top trends for café fitouts in Sydney, which will keep your business humming along in 2017. We know that some of these trends might not suit all cafes and restaurants, however hospitality fitouts that incorporate at least some of these elements, will find themselves at the leading edge of interior design! So let’s take a look at our top 3 café and restaurant trends for 2017: LED lighting, recycled timbers and polished concrete. LED lighting is no longer boring, because there are lots of fabulous new designs that can make your café or restaurant shine. Lasting up to 10 times longer than regular halogen bulbs, they are also cool to touch, more durable and more cost effective. Apart from being eco-friendly and saving money on power bills, we now have LED lighting solutions that offer huge interior design options for café fitouts in Sydney. Some of these designs are fabulous and can be used in unique signage designs, as well as in a variety of spot lights, pendants and table lighting. No longer the domain of urban or industrial buildings, polished concrete offered a clean, modern and slick interior design option for cutting edge hospitality fitouts. Decorative concrete has an aesthetic appeal all of its own and is now seen as a modern flooring option that is durable, easy to maintain and simple to keep clean. Polished concrete is also very reflective and can increase the lighting in a space, which is particularly beneficial when used with high quality LED lighting. 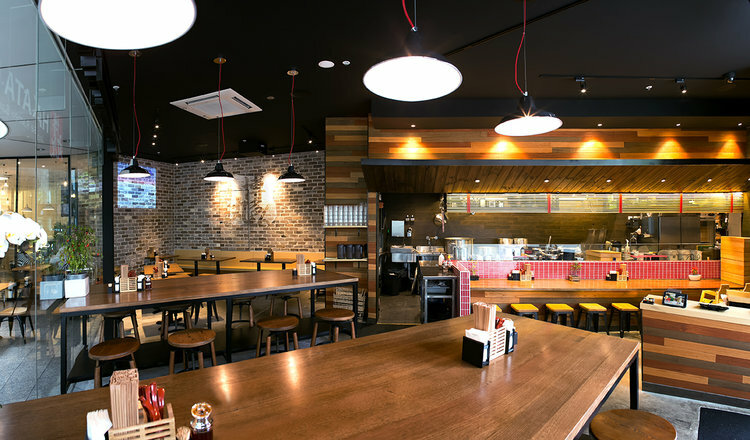 For café fitouts in Sydney, this type of flooring offers a seamless finish and a minimalistic look that is appealing to both customers and staff. As a blank canvas, polished floors give you endless opportunities to create a unique interior design for your café or restaurant. Whilst some people might see them as a cold and clinical flooring material, with some clever design ideas, you can easily add warmth and uniqueness to the interior design of your café or restaurant. This type of flooring can also be enhanced by using contrasting materials, such as recycled timber, which is very on trend at the moment. The combination of unique LED lighting solutions, polished concrete flooring and recycled timber is perfect for many new hospitality fitouts. Recycled timber is not only inexpensive, but it offers a warmth and character that is difficult to match from any other materials. Many cafes and restaurants are veering away from the one size fits all interior design mentality, looking for ways to make their spaces truly unique, comfortable and inviting, finding that timber adds a charm all of its own. 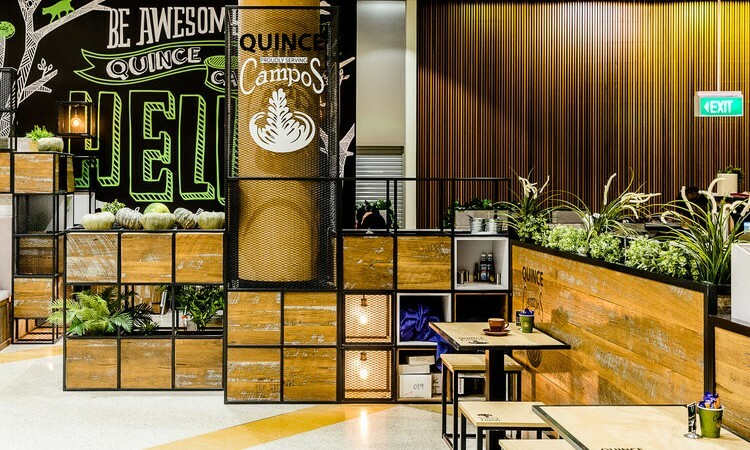 There is no end to the uses for recycled timber in Sydney café fitouts, offering a beauty and timelessness that is appreciated by customers. Recycled timber can be paired with stainless steel, polished concrete, glass and stone, and just about any type of building or design materials, making it extremely versatile and cost effective.